Liberia's president declared a state of emergency on Wednesday to combat the ongoing outbreak of the deadly Ebola virus in West Africa, as the country began implementing quarantine checkpoints. The country’s president, Ellen Johnson-Sirleaf, said that the scale of the Ebola outbreak represents a threat to Liberia’s security. "The government and people of Liberia require extraordinary measures for the very survival of our state and for the protection of the lives of our people," she said via statement. "I...hereby declare a State of Emergency throughout the Republic of Liberia effective as of Aug. 6, 2014 for a period of 90 days." The World Health Organization announced that 932 people have died from the recent Ebola outbreak, as the organization begins to consider whether experimental drugs should be deployed to West Africa to help contain the situation.The WHO is to decide whether it will declare an international public health emergency in order to deal with the outbreak in the coming days. According to Reuters, the WHO said Wednesday that 45 more people died as a result of the virus between August 2-4, raising the death toll closer to 1,000 in what is being billed as the world's worst Ebola outbreak. The organization estimates that approximately 1,711 cases have been detected so far. Liberia was hit the hardest over the past few days, with 27 of the 45 newly tabulated deaths occurring there. Sierra Leone was home to 13 of the deaths, and Guinea had five new fatalities. While the outbreak has primarily affected these three countries, the WHO said the number of suspected Ebola cases in Nigeria rose to nine after five more were discovered. 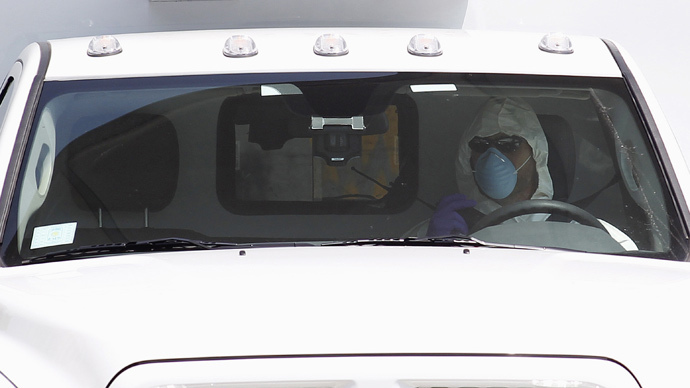 A Nigerian nurse who was assisting with the treatment of Ebola patients in the country has reportedly passed away from the disease, while a Saudi Arabian man believed to have contracted Ebola during a trip to Sierra Leone also died Wednesday morning. Additionally, a key hospital in Liberia – St. Joseph’s Catholic – was shut down after a Spanish priest and six others were diagnosed with the highly contagious virus. Spain is expected to transfer the priest to his native country. The news comes as Liberia deploys troops to essentially quarantine parts of the country that have been hit especially hard by the disease. Checkpoints will be installed and used to apply “tracing measures” on those suspected of carrying the virus. American health officials have also agreed to utilize a new diagnostic test created by the Pentagon in overseas locations selected by the Defense Department. The test can be used to diagnose the disease in those suffering from an infection, as well as those could have potentially been exposed. Meanwhile, in a separate Reuters report, the WHO said it would ask medical ethics experts next week about potentially using experimental drugs to help treat Ebola victims. 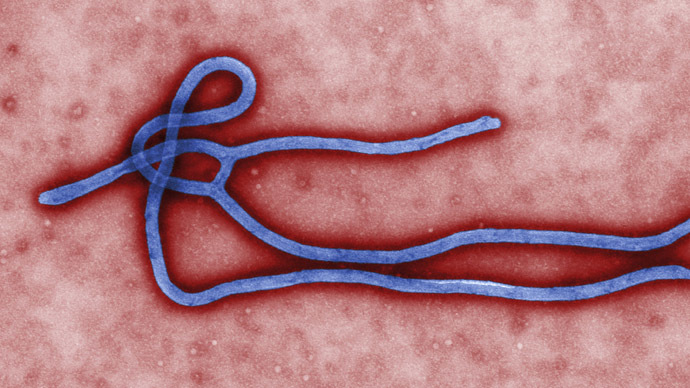 Although there is currently no cure for Ebola – which typically kills well over half of those it infects and causes symptoms like fever, vomiting, and internal and external bleeding – there are multiple drugs and vaccines being tested, including some by the US Food and Drug Administration (FDA). 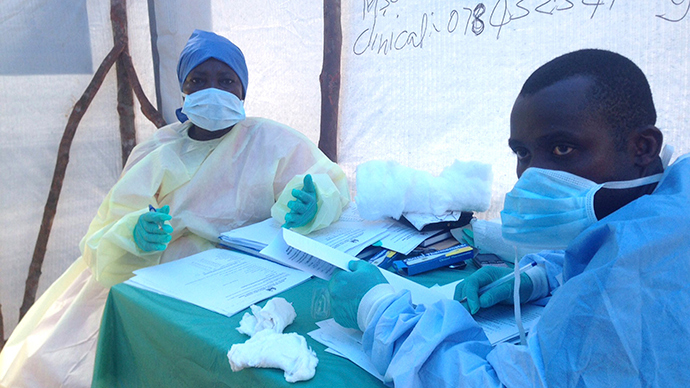 "We are in an unusual situation in this outbreak. We have a disease with a high fatality rate without any proven treatment or vaccine," said WHO Assistant Director-General Marie-Paule Kieny. "We need to ask the medical ethicists to give us guidance on what the responsible thing to do is." The WHO’s statement follows a revelation that two US aid workers suffering from Ebola were given a secret drug to battle the disease and have reportedly experienced a dramatic recovery. The US itself has not reported any cases of Ebola, and the one man tested for the virus recently in New York was found not to have contracted the illness. As RT reported previously, a recent Change.org petition is urging the FDA to fast-track the authorization of some anti-Ebola drugs in order to fight the outbreak. Although the FDA itself hasn’t commented on the suggestion, President Obama said on Wednesday that it is still too early to take that kind of step. 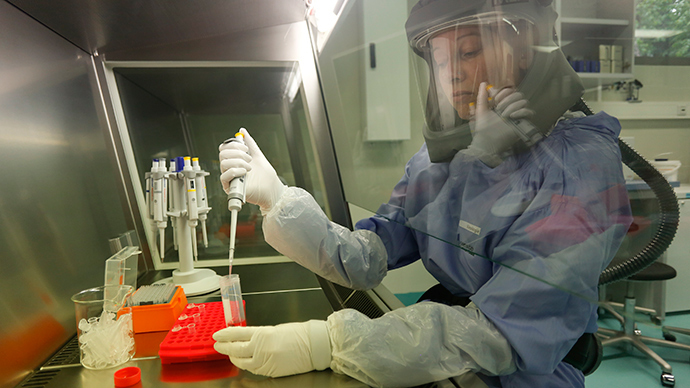 One day earlier, however, three Ebola specialists called on the WHO to deploy experimental drugs, arguing it’s "the only body with the necessary international authority" to move forward with such a plan. Calls for greater involvement of the WHO and the US Centers for Disease Control (CDC) have intensified over the past few days. On Tuesday, Doctors Without Borders emergency coordinator Anja Wolz said that Sierra Leone was incapable of handling the Ebola outbreak, urging both international and American organizations to take action. 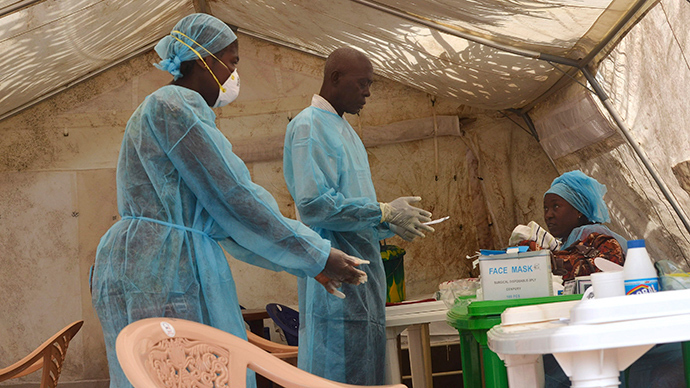 "I think that the government and the ministry of health here in Sierra Leone is not able to deal with this outbreak. We need much more help from international organizations – as WHO, as CDC, as other organizations – to come to support the government,” she said during an interview with CNN. "Still we have unsafe burials; people who are doing the burial without disinfection of the body; still we have patients who are hiding themselves; still we have patients or contacts of patients who are running away because they are afraid." 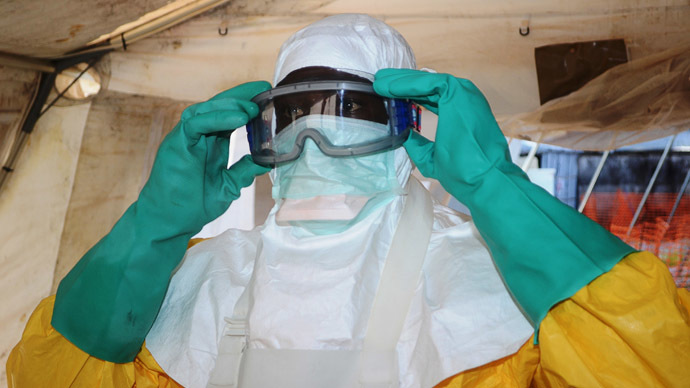 The US plans to send 50 health experts from the CDC to West Africa in order to address the outbreak and establish better detection and prevention systems.